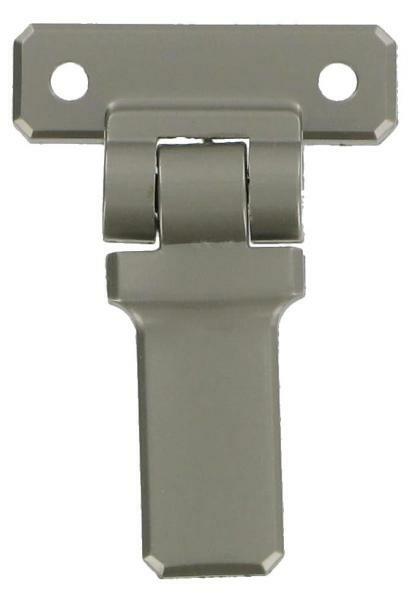 Matt Nickel Franzen Briefcase Hasp. This small Franzen matt nickel briefcase hasp is an appropriate replacement catch for many briefcase combination/ key locks. Do however check dimensions and detail closely, as slight differences in design may mean certain spares won't work with your briefcase. This Franzen Satin Chrome combination lock suits many briefcases. It is available in Satin Chrome finish only.Please select left or right hand lock from the pull down menu. measurements: Length 65 mm Width 28 mm Hole centres 57mm (L) 21mm (W). If you have any queries about the suitability of this luggage spare, please call +44 1494 775577 and ask to speak to Paul.